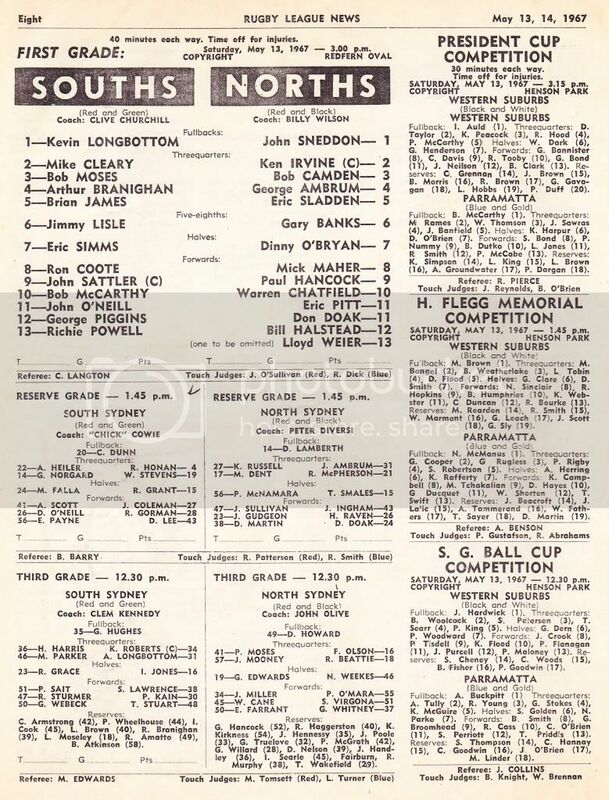 Here's a team list from 1967 if anybody is interested. one R.Beattie mired in the thirds! Sorry that the first post seems to have changed. Anyway I was given a set of THE SUN cards from 1967- may be from 1968 and before i sell them i thought people might like to see them. 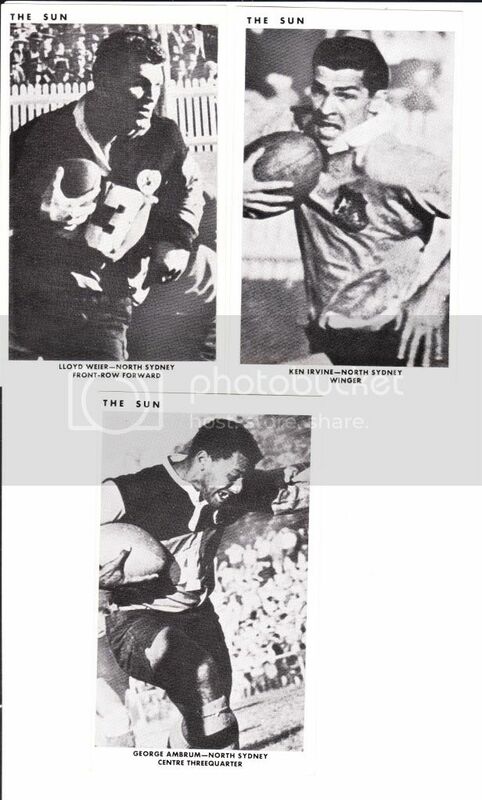 this is really good, can we have some more.. i do have a team photo from 66 but don't have an idea how to get it posted up here I also have a team photo of the 54 squad the first team to use this strip..
any chance of locating a 71 / 72 and 73 team photos.. they seem to be as rare as hens teeth..
No worries I'll put some more Norths stuff from other years next week. With yours to post, I first scan the image and save. Open up PHOTOBUCKET (join up it is free), down load image there then click on image and select bottom box. You should be able to save. 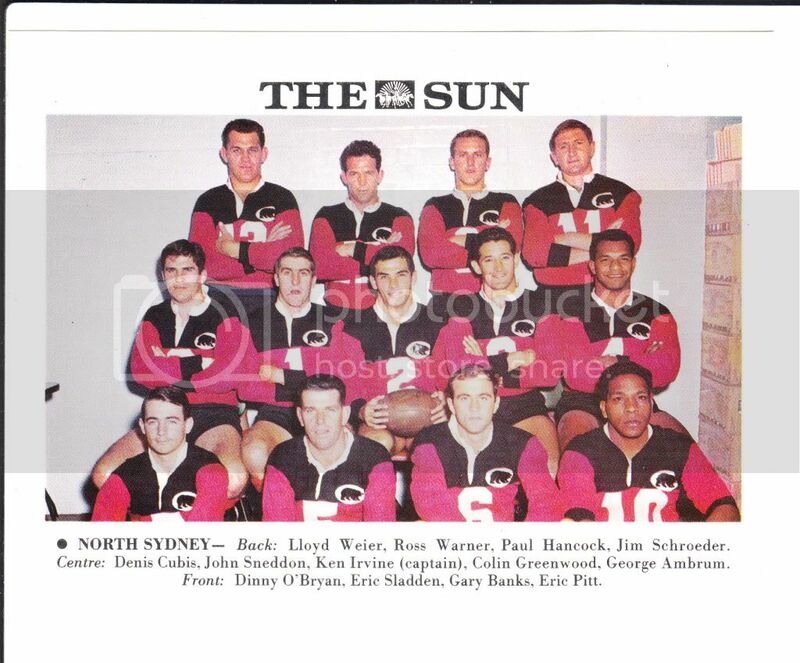 I know this is a couple of years after this was posted, but do you still have the full North Sydney Bears team list from 1967? As you said the image has changed for some reason. I hope this gets back to you after all this time! That is awesome and exactly what I was after - thank you very much!! If you do find I spare program I'd be very interested! If you could email the details to me that would be great... the address is my mighty bears username at hotmail.com. Ah I thought I had one but cannot find the spares anywhere- sorry. 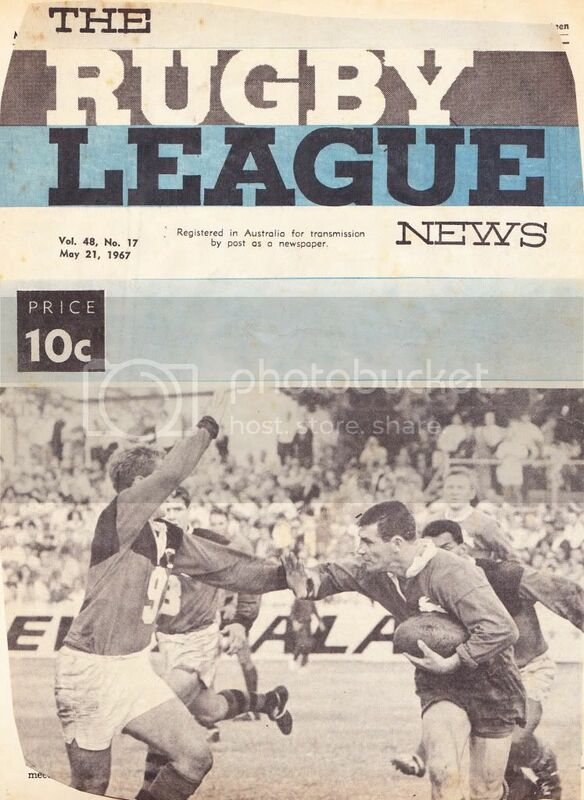 Anyway I have a photo from the game above and according to the jumper number on the Norths player it is your uncle. Is this right? Bit hard to see his face. 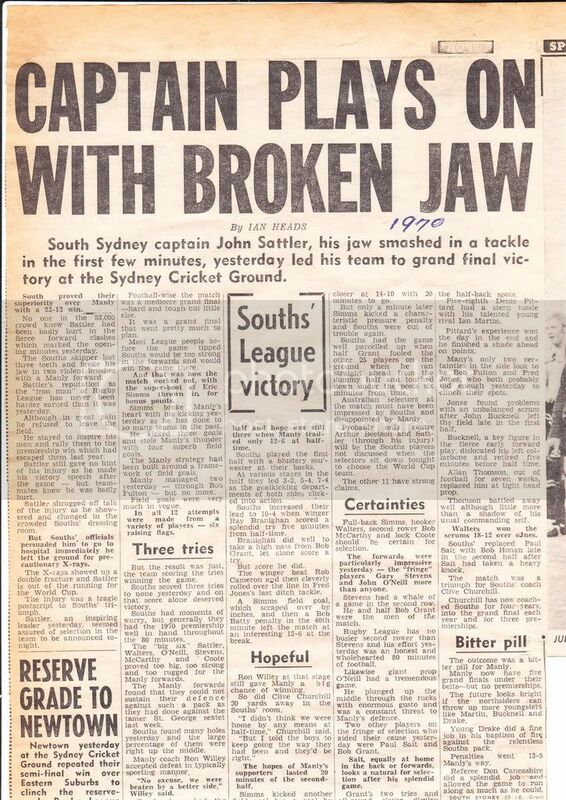 If you do ever find a spare program let me know as I'd love to buy a copy.